Feasibility and hydrogeological studies, exploration drills, water analysis, construction and exploitation of wells, training of local personnel to provide fresh water supply to villages. 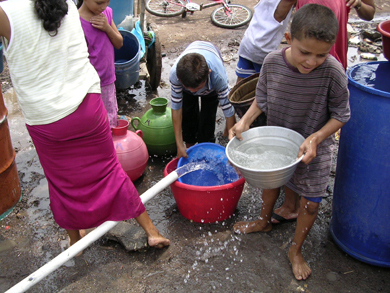 The Nando Peretti Foundation, has co-funded projects for the development of public water supply in three locations: Salvador, Honduras and Mali. Please click on the menu to the left to open the Project Descriptions and Activities/Results of each project.